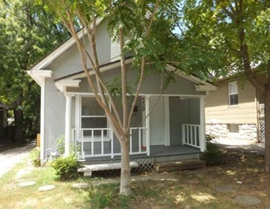 Kansas City Man Buys House To Give To Startups! Kansas City’s entrepreneurial and startup ecosystem continues to grow. Kansas City is home to some great startups like Neighbor.ly, AgLocal, Front Flip,Cognovant, Zippido and even Ray Ray’s. Even Helzberg Diamond’s, Barnett Helzberg Jr, has launched a new startup in his hometown. Kansas City Mayor Sly James recently announced an initiative to make Kansas City a destination for startups. Part of that initiative called for those in the private sector to contribute to the growing ecosystem. James is calling on private sector businesses to step up to the plate and donate unused office space, equipment and mentoring time for new startups. Although he doesn’t own his own company and fancy’s himself an “entrepreneur wannabe”, British Kansas City implant Ben Barreth has responded to James’ is call in a major way. Barreth has started a new project called “Homes For Hackers”. His program calls for residents in Kansas City to make homes available for hackers and startup founders, rent free, and utility free for three months to let them get their startups off the ground. Barreth didn’t just announce a program and put up a fancy website. He put his money where his mouth is so to speak, cashed out a retirement account and bought the first home for hackers himself. The house Barreth purchased is also located in the Google Fiber district of Kansas City, which means that the hackers working on their startups will be able to do it with 1gb fiber. Barreth ran into an initial stumbling block when he found out, that since he wouldn’t actually be living in the house, it was an investment property. What that meant was that mortgage lenders needed 20% down rather than the 10% down he had prepared for. Barreth hasn’t launched his own startup yet (we would consider Homes For Hackers a social startup), and he’s had no successful exits yet. In fact he said he had to Google what “successful exits” meant. He’s just a guy who felt compelled to do this. Three months rent and utility free should be enough time for relocating startups to lay roots in Kansas City so that when the times up they can continue to take advantage of the resources their, like Think Big. Barreth says that the only thing that startups will need to supply for themselves is food. Thanks so much for the write-up Kyle! The most exciting thing is: Just 5 or 6 doors down from the house I’m buying is a house with 3 startups already moved in (LocalRuckus, Formzapper and Leap2). Across from that house is a small office where EyeVerify and another startup I can’t remember. KC is really starting to catch fire!